Arlene passed away Sunday, October 26, 2014 at Stanford Lodge in Plainwell. She was born January 3, 1928 in Kalamazoo the daughter of Michael and Grace (Cardd) Karr. Arlene enjoyed fishing, traveling, cooking and helping other people. She was an active member of Cooper Congregational Church where she was part of the Ladies Guild and ARO an outreach ministry group. On October 28, 1950 in Kalamazoo she married Duane Anson who survives. Also surviving are her children, Brian (Dalene) Anson of Plainwell, Karen (Keith) Holt of Vicksburg and Lori (Chuck) Franko of Kalamazoo; 5 grandchildren, Jodi, Jessica, Cameron, Tyler and Riley; 4 great-grandchildren and several nieces and nephews. She was preceded in death by her 3 brothers, Delbert, Robert and Rudolph Yohnke. Cremation has taken place. Friends may meet with Arlene’s family Saturday, November 1, 2014 from 2 P.M. to 4 P.M. and again Sunday from 2 P.M. to 4 P.M. at the Winkel Funeral Home, Otsego. No services are scheduled and a private burial will take place at Cooper Cemetery at a later date. 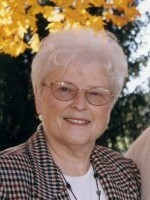 Contributions in memory of Arlene may be made to the Cooper Congregational Church. 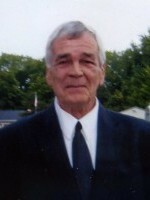 Dennis L. Cleland of Mesick, MI passed away unexpectedly at his home October 10, 2014. He was born September 3, 1947 in Kalamazoo the son of Arthur Cleland and Eleanor (Olson) Snider. Dennis proudly served his country in the US Army during the Vietnam War. He loved hunting, fishing and all aspects of nature. He also enjoyed working on cars and tinkering with things. Dennis was a humble man who had a big heart and loved his family very much. He was a member of the Amvets Post 120 in Mesick. Surviving are his children, Melissa (Chad) Ford, Angie (Jeff Bennett) Cleland both of Mesick and Denise Nartey-Jones of Texas; seven grandchildren, Victoria, Tanner, Cooper, Sierra, Matthew, Enoch and Faith; his mother, Eleanor Snider of Cooper; and his siblings, Ronald (Bonnie) Nuyen of Portage, Marilyn (Lance) Doubblestein of Bloomingdale, Ann Johnson, Mary Palmer, Rose Mejeur and Barbara Cleland He was preceded in death by his father, Arthur Cleland; his dad, W. Hartford Snider and his sister, Jennie Crisp. A Funeral Service will be held Friday, October 17, 2014 at the Winkel Funeral Home, Otsego. Friends may meet with his family at 10:00 A.M. until the time of the service at 11:00. Burial will follow at Fort Custer National Cemetery, Augusta. Contributions in memory of Dennis may be made to the Amvets, Post 120. 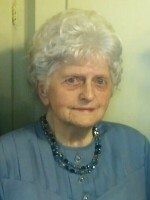 Mrs. Ardee C. Parkin passed away October 13, 2014 at Life Care Center in Plainwell. 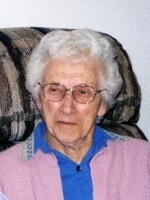 Ardee was born May 23, 1914 in Ocqueoc Township the daughter of Cecil and Elizabeth (Everingham) Curtindale. She was a member of the First Baptist Church of Plainwell. Surviving are 1 son and 2 daughters, Don (Elia) Parkin of Pace, FL, Myrna Best Powell of Portland, OR, Sharon Hawley of Otsego; many grandchildren, great-grandchildren and great great grandchildren; brother, Clarence Curtindale; sister, Fay Heinlein; several nieces and nephews. She was preceded in death by her husband, Murdith; 2 brothers, Albert and Jerry; 1 sister, Barbara. In accordance with her wishes, cremation has taken place and no service will be held. Contributions in memory of Ardee may be made to a Christian organization of your choice. 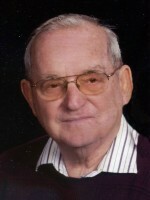 James VanLent of Alamo Township passed away Thursday, October 2, 2014 at Bronson Hospital in Kalamazoo. Mr. VanLent was born August 5, 1932 in Otsego, the son of Eldon and Marie (Brown) VanLent. For more than 31 years Jim was a police officer and fireman for the city of Plainwell. He was a member of the 12th Street Baptist Church and in his spare time enjoyed golfing. In 1950 he married Shirley Nichols in Indiana. Surviving are his wife, Shirley; his sons, Jim (Terry) VanLent of Plainwell and Dan VanLent of Otsego; five grandchildren; seven great-grandchildren; his sisters, Sandra (Ron) MacVean of Martin and Sharon VanLent of Plainwell; along with several nieces and nephews. He was preceded in death by his parents and brother Eldon. Friends may meet with Jim’s family Monday, October 6, 2014 from 2-4 P.M. and 6-8 P.M. at the Winkel Funeral Home, Otsego. Cremation will follow. A Memorial Service will be held Tuesday, October 7, 2014 at 11:00 A.M. at the 12th Street Baptist Church in Kalamazoo, Pastor Thad Stout officiating. Due to construction, please take 11th St. south to ON Avenue, then north onto 12th Street. Contributions in memory of Jim may be made to the 12th Street Baptist Church.